Update KB4025398 (Security update for the MSINFO.exe information disclosure vulnerability in Windows Server 2008: July 11, 2017). Update KB3186607 (Microsoft .NET Framework 4.7 Language Pack for Windows 10 Version 1607 and Windows Server 2016) updates the language packs. The same language pack for .NET Framework has been re-released as Update KB3186607 on September 5, 2017. Meta data and binaries has been changed. Update KB3186568 (Microsoft .NET Framework 4.7 for Windows 10 Version 1607 and Windows 10) has been released as a recommended updates. The updates mentioned above has bee enlisted at Description of Software Update Services and Windows Server Update Services changes in content for 2017. End of August 2017 some updates for WSUS 3.0 and Windows Server has been released. 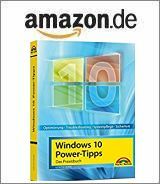 Update KB4039873 (08/28/2017): Update for Preview of Monthly Rollup – für Windows Server 2008). This non security update addresses a bug, that drops error 0x8024401c during processing meta data in WSUS during update search. Perhaps the list above helps for update inventory. This entry was posted in Update, Windows and tagged .NET, August/September 2017, Microsoft, Update, Windows, WSUS. Bookmark the permalink.